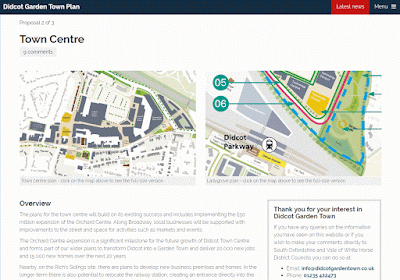 Sign up or sign in to https://didcotgardentownplan.commonplace.isPlease comment on Proposal 2 "Town Centre", NOT the Master Plan you see when you first log in. It should say this at the top. Your first name and e-mail address alone are sufficient to identify you for consultation purposes. Do let them use your data for analysis so you are counted! 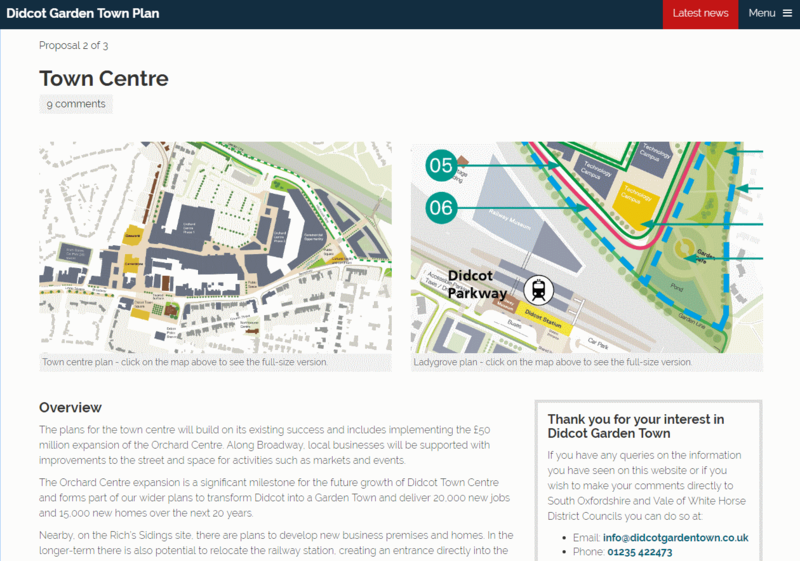 Make sure you end up on Proposal 2, the "Town Centre" page. Scroll to the bottom, add a comment with an "unhappy face" and the word "Ladygrove" in it, so they know which plan you mean. Save the comment and you are done! Just remember to include the word Ladygrove in the comment.